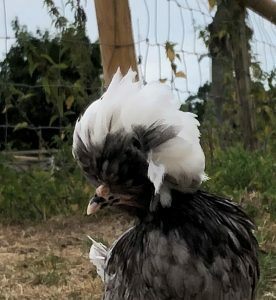 The Polish or Poland is a European breed of crested chickens known for its remarkable crest of feathers. The oldest accounts of these birds come from The Netherlands; their exact origins are unknown, however. In addition to combs, they are adorned with large crests that nearly cover the entirety of the head. This crest limits their vision, and as a result can affect their temperament. Thus, though normally tame, they may be timid and easily frightened. Though the derivation of the Polish breed is unclear, one theory suggests that their ancestors were brought by Asian Mongols to Eastern Europe during medieval times, and thus, could have originated in Poland. It is also believed that immigrants could have brought the breed’s predecessors from Spain or Italy in the late 16th century. The Polish was standardized in the Netherlands and declared a thoroughbred in the 16th century. 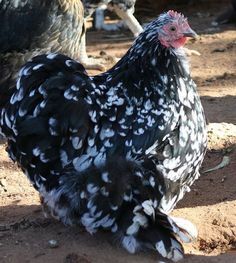 Chickens bearing a strong resemblance to the Polish can be seen in paintings from the 15th century, and the breed was extensively portrayed in Dutch and Italian paintings from the 16th through the 18th centuries. Though usually only a fair layer at best today, In France they were once known as an excellent producer of eggs. The American Poultry Association states that the breed was introduced to America between 1830 and 1840. The breed was, during a certain period of time, favored by American farmers and chicken fanciers. The American Poultry Association accepted three Polish varieties into the American Poultry Association’s Standard of Perfection in 1874; additional varieties were accepted in 1883, 1938 and 1963. 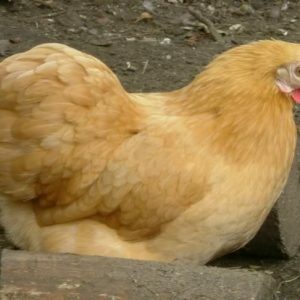 There are some controversies around origin of the Polish chicken’s breed. Some state that the breed has Polish origin. These doubts might have arisen due to generally limited access to original sources documenting the Czubatka’s (Polish chickens’) presence in the history of Poland, caused by the fact that these testimonies are available in Polish language only. 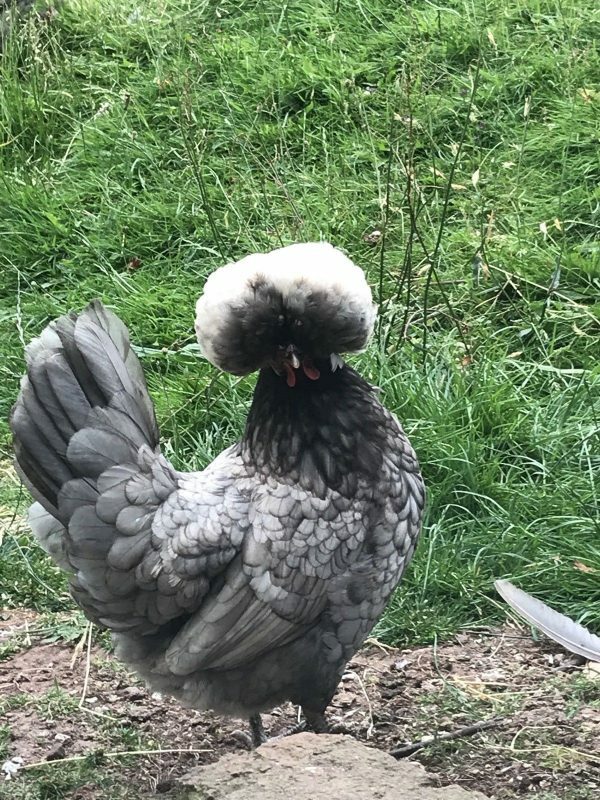 The Polish chicken breed’s original, i.e. Polish, name is: Czubatka (ˈtʃubætkə). For centuries Poles kept their Czubatka domestic fowls in small farms scattered all over Polish territories. 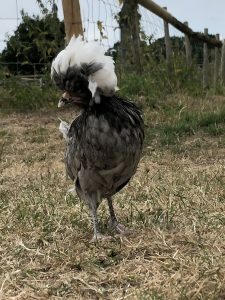 The full name of Polish chicken is ‘Czubatka Staropolska’ or ‘Czubatka Dworska’, where in Polish language ‘Czubatka’ simply indicates a hen or rooster with ‘czub’ (a tuft of feathers growing on top of the head), the word ‘Staropolska’ is an adjective meaning ‘old-Polish’ and the alternative nickname ‘Dworska’ is an adjective meaning ‘court’. The Czubatka has multiple representations in Polish literature and art, and the Czubatka rooster is an iconic image symbolizing a country gentleman – character. 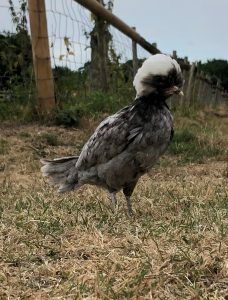 To wind down, it is worth to mention, that the Czubatka poultry had been looking and behaving exactly like the contemporary Polish chickens do today for long (first accounts come from Middle Ages) before it was firstly introduced to Dutch breeders as the Polish chicken. The Polish has a small V-shaped comb, though it is often hidden by the large crest of feathers. The earlobes and wattles are small and may also be completely hidden by the crest and beard. The earlobes are white, the comb and wattles bright red.